When it comes to healthy oils, extra virgin olive oil — EVOO for short — is the top choice for your healthy pantry. Because it’s the first press of the olives, extra virgin olive oil not only tastes better, but also has higher levels of antioxidants and other micronutrients that may help protect against diseases, from Alzheimer’s to breast cancer. When you shop for EVOO, avoid imitators. Look for the words “100 percent Extra Virgin Olive Oil” on the label. The oil must be pressed from olives alone, not mixed with nut or seed oil. 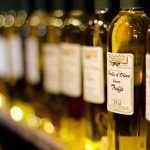 Over the years, investigative research found that some foreign olive oil labels aren’t always clear about what country the olives were grown in versus where the oil was bottled, which can make it hard to know the true origin of the oil. One answer is to choose oil made in the United States, notably Californian EVOO. Look for the California Olive Oil Council seal. Choose olive oil bottled in dark glass to help protect its delicate antioxidants from light. Once opened, you’ll want to use up a bottle of EVOO within a few months. Some brands now list “use by” dates. EVOO has one of the lower smoke points compared to other oils — that means it burns faster and shouldn’t be used for long, high temperature cooking, like deep frying. The antioxidants can be damaged by high heat, too. Here are three easy no-cook ways to use it.